The AC series consists of three models all featuring the same digital control but different input and output configurations. 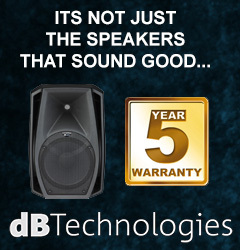 The SRQ range provides the quality & features sound engineers demand. The range consists of 3 models all with balanced XLR and screw terminal connectors. The VTX2 is a two channel dynamics processor with five functions - compressor, limiter, expander, gate and peak limiter. It features superb sonic accuracy, clear easy to use controls all in a 2 rack space enclosure.